Sign up for these Classes! No fee for this hands on learning experience (bring your machine)- but please register in the form below. Author webmasterPosted on June 24, 2015 July 26, 2015 Categories Saturday Stitchers, Sewing LessonsLeave a comment on Sign up for these Classes! Come play like you were a kid. 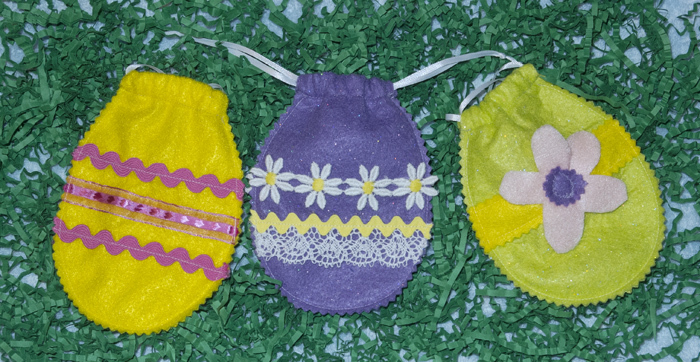 Saturday the 23rd of March we will be making Easter egg treat bags. 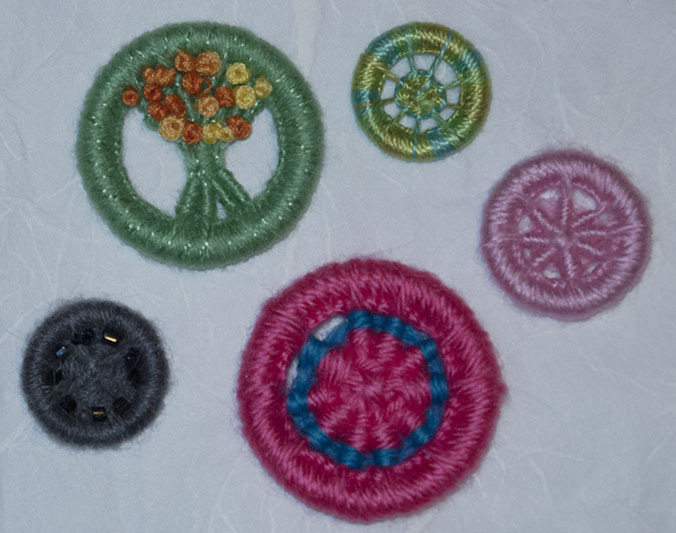 Raid your stash for bits of trim, lace, ribbons, buttons and felt to decorate these small bags. The decorations can be glued or sewn, your choice. During our monthly Saturday Meeting this week, Louise will show us how to make these beautiful Fiber Wrapped Necklaces! We had a wonderful time at the Annual Luncheon on Saturday. 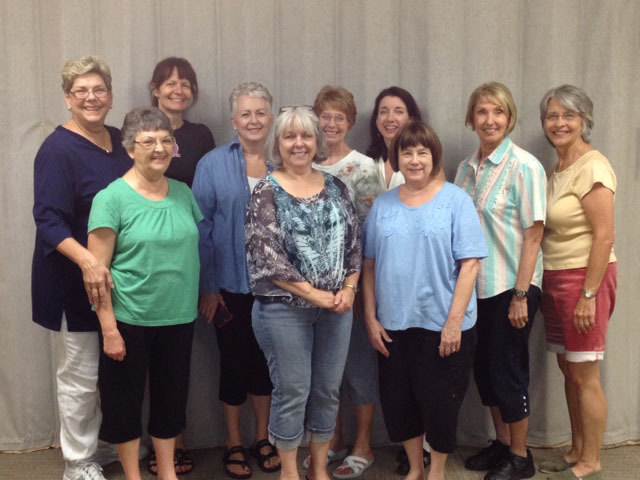 Shirley Cunningham gave a great presentation on how to use the elements of art in our sewing. Elements like canvas, lines, curves and angles, proportion, balance and color. Don’t forget! Our Plano ASG meeting is tomorrow, Saturday, September 22nd at 10:00 AM. 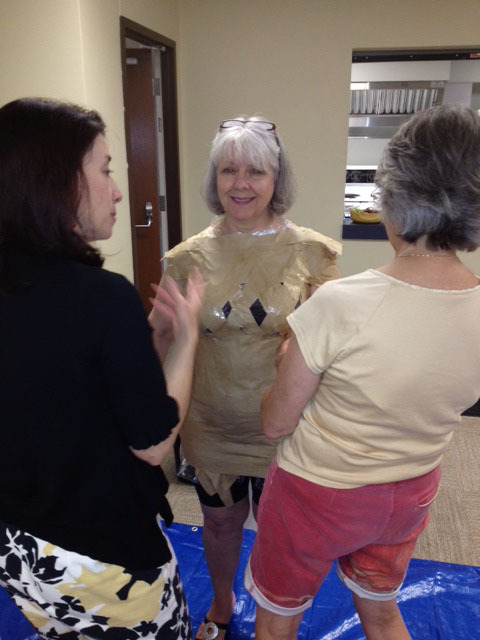 On June 23rd, The Paper-tape Body Double workshop took place. 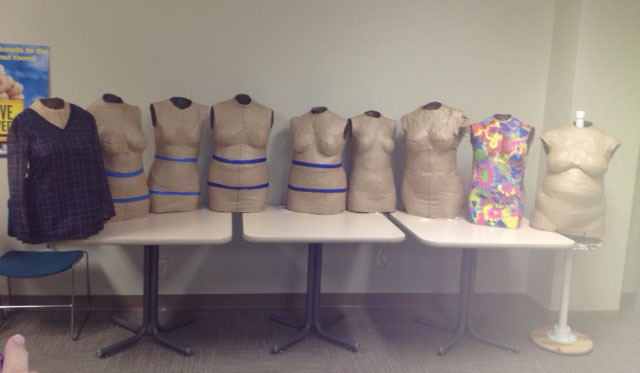 Paper-tape body doubles are an exact duplicate of your body and are extremely useful as dress forms when draping or fitting garments. If you are interested in making a Paper Tape Body Double please contact Debby Bowles.